Consider the front page story in the New York Times Sunday Review, which singled out the Palestinian issue as "one of the great moral challenges of our time" -- ignoring Syria, Ukraine, Iran, Saudi Arabia, Chechnya, Tibet, Cyprus and many far greater moral challenges, which are largely ignored by the hard left. Those women and men who marched in the Women's March under the leadership of Linda Sarsour and Tamika Mallory colluded with anti-Semitism. These two leaders of the Women's March worship the most influential anti-Semite in the United States today, Louis Farrakhan. They claim to disagree with his crass anti-Jewish (and anti-gay and anti-feminist) preaching -- although there is reason to doubt this, as it relates to Jews -- but they admire him for his impact on elements of the Black community. They must understand that this impact includes influencing hundreds of thousands of Blacks to consider Jews to be "termites" and destroyers of the world. But they do not care. They regard him as great — Mallory has called him "the GOAT" ("Greatest of All Time"). Marching with these supporters of an anti-Semite is the equivalent of marching under the banner of David Duke, who inspires white supremacists with the same sort of bigotry with which Farrakhan preaches Black supremacy. Hitler inspired pride in Aryans, Mussolini made the trains run on time, and Stalin spread the wealth. 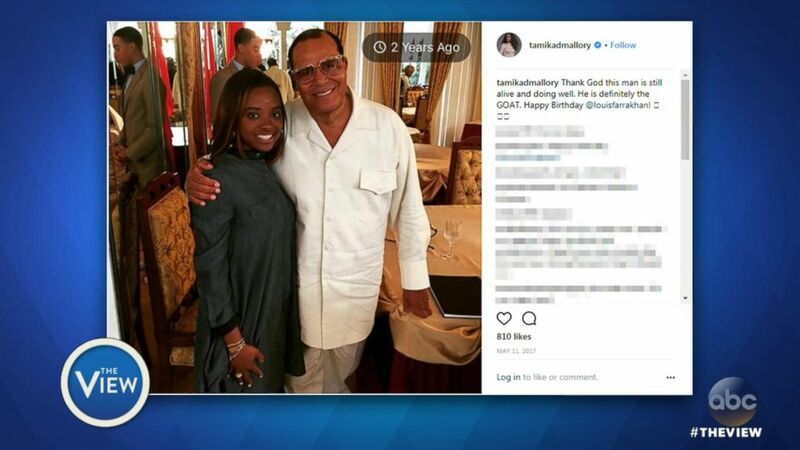 But would the women who marched with Farrakhan's admirers have marched with these bigots? What is the difference? The painful difference is that anti-Semitism is more tolerated on the hard left than other forms of racism. Moreover, anti-Semitism can mask itself as anti-Zionism -- singling out only the nation state of the Jewish people for unique opprobrium, an act which is itself a form of bigotry, although one that is acceptable on the hard left. Consider the front page story in the New York Times Sunday Review, which singled out the Palestinian issue as "one of the great moral challenges of our time" -- ignoring Syria, Ukraine, Iran, Saudi Arabia, Chechnya, Tibet, Cyprus and many far greater moral challenges, which are largely ignored by the hard left. The Palestinian issue receives center stage on the hard left, not because of how the Palestinians have been treated -- they did, after all, reject offers of statehood and the end of the occupation on numerous occasions -- but because of who is allegedly oppressing them: namely the nation state of the Jewish people. Alan M. Dershowitz is the Felix Frankfurter Professor of Law Emeritus at Harvard Law School and author of The Case against the Democratic House Impeaching Trump, Hot Books, January 2, 2019, and a Distinguished Senior Fellow of Gatestone Institute.